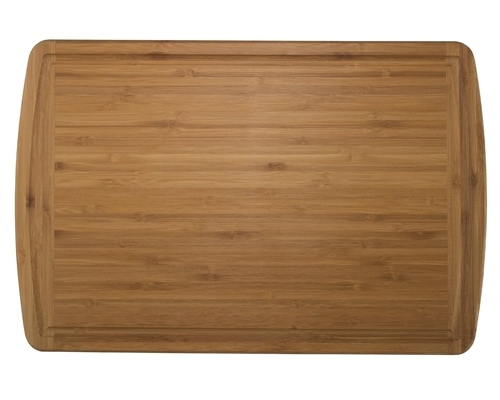 The Totally Bamboo Malibu Groove Vertical Grain is the perfect cutting board for any kitchen. The juice groove will keep any juice from dripping onto your table. Handwash only. Dimensions: 18 x 12 x 3/4 in.